You’ll join a community of just over 300 bright, dedicated students who share a passion for pharmacy, service to others and lifelong learning. You’ll learn from approximately 30 leading pharmacists, scholars and experts who will guide and mentor you throughout your studies. We offer the Doctor of Pharmacy (Pharm.D.) and the Pharm.D./M.B.A. joint degree program. In addition to undergrad coursework, you may qualify for a B.S. in medicinal chemistry. We look for students with a strong academic background and a passion for the profession of pharmacy. You should possess good communication skills, enthusiasm, commitment to pharmacy, leadership abilities and a strong record of community service. Please apply at PharmCAS and complete an on-campus interview (for qualified candidates) to gain admission to the Gregory School of Pharmacy. 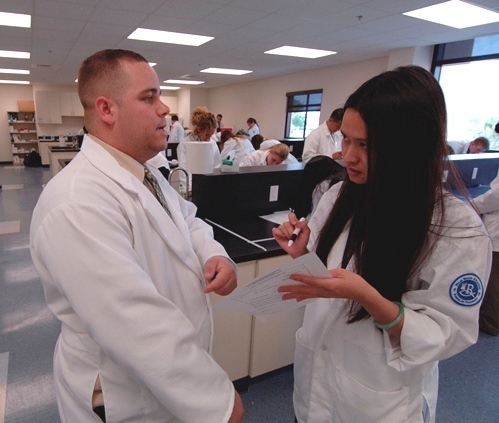 We guarantee a campus interview to the Gregory School of Pharmacy for students who earn a cumulative GPA of 3.0 and earn a composite PCAT score of over 50. We are accredited by the Accreditation Council for Pharmacy Education. View the Gregory School of Pharmacy's Strategic Plan Summary and Naplex Pass Rates. There are numerous loan assistance programs and scholarship opportunities available through PBA’s Financial Aid Office.